There are the times that I step into the kitchen and feel like being creative. Like pulling out a cookbook or looking online for a recipe for something totally new and different and exciting. Those times, however, are few and far between. Partially due to my lack of time and laziness and partially due to the fact that there's a good chance that I'll go through all of the effort and work and the meal will end up not all that well-received. Instead, we often stick with the much-loved classics that are sure to make everyone happy. Around here you can't go wrong with something like pasta or tacos or pizza. Definitely pizza. But it has been ages since we last ordered out and instead look to our grocery store's freezer section for something fast, easy and delicious. Our recent favorite? Red Baron. 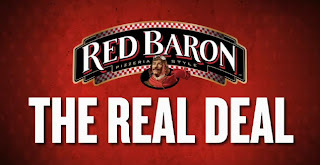 Even though their pizza already consisted of crusts made from only the best ingredients, zesty sauce, the finest vegetables and meats, and 100% real cheese, Red Baron still wanted to make sure that consumers everywhere knew that it was the "Real Deal." 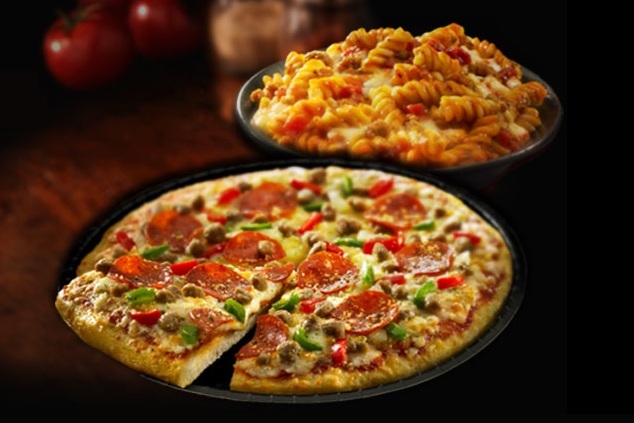 This isn't just any frozen pizza, this is quality, taste and convenience... and it can save you a bundle of money over having a pizza delivered. So who knows better about getting a great deal than the one and only Howie Mandel? 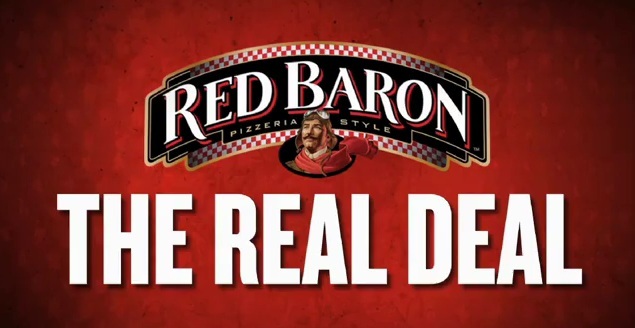 After watching Americans make thousands of them on Deal or No Deal, Howie has teamed up with Red Baron to create an online "Real Deal" video series to fight against delivery pizza that charges too much. 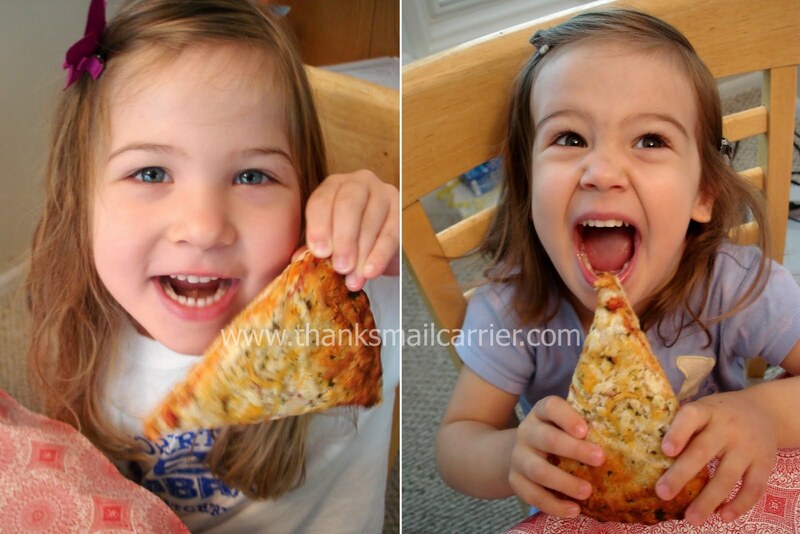 Not only does pizza delivery fall short on value (that bill adds up fast! ), but when it comes to the overall meal, you're going to enjoy what you can make in your own oven much more. Personally, I love the videos with Howie Mandel because I think he's hilarious. There's something so incredibly normal about him that makes me feel like he would be fun to have over for a meal. I'd be pretty happy if he showed up at my door with a stack of pizzas! Since so far that hasn't happened, instead we were able to have our own "Real Deal Pizza Challenge" thanks to a coupon for Red Baron pizza and their Pizza Night Prize Pack. 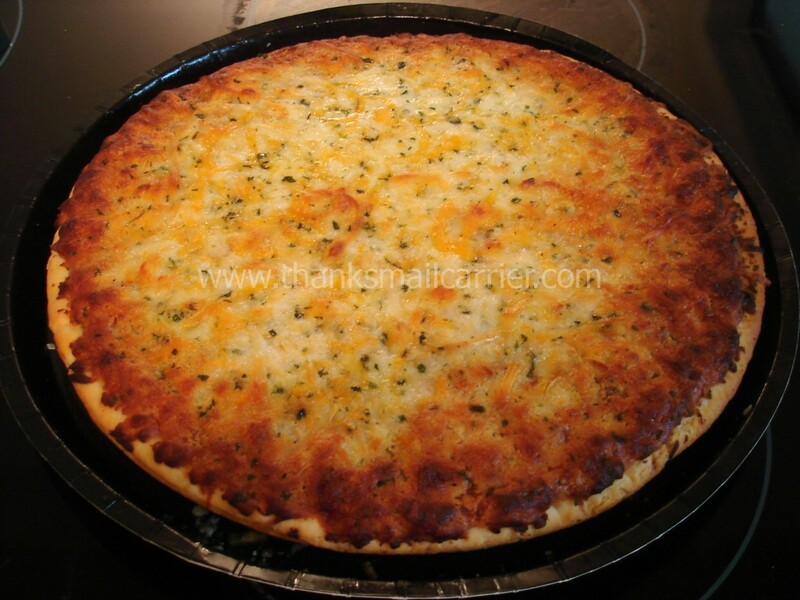 As a huge fan of thick crust pizza (the thicker the better, in my opinion), we chose the Red Baron 4-Cheese Pan Pizza and popped it in for our pizza night. In 25 minutes, I pulled it out to find it well done and nice and crisp, just the way I like it. I have to admit that I wasn't really expecting anything out of the ordinary by this pizza, but it was delicious! The pizzeria style crust was thick and flaky on the outside and light and airy on the inside and the cheeses and spices were just right without being overpowering... yum! Available in 4-Cheese, Pepperoni, Supreme and Meat-Trio, I really did find the Red Baron Pan Pizza to be as good, if not better, than the last time that we ordered out. With a suggested retail of $6.49 and the only requirement of me being to open and close the oven, I'd say that these are a big hit! Five lucky people will win a Pizza Night Prize Pack* from Red Baron! To enter to win: Tell me which celebrity you would like to have bring pizza to your house! 1 Extra Entry (per method) if you follow Red Baron on Twitter and/or Like them on Facebook. Giveaway will end on August 30th at 11:59pm CST. Do me the favor of leaving an email address or making absolutely sure it is visible in your profile, I have to have a way to contact the winner. The winner will be chosen by random.org and announced here as well as emailed and will have 48 hours to contact me or respond to notification or a new winner will be chosen. This giveaway is open to U.S. residents only. 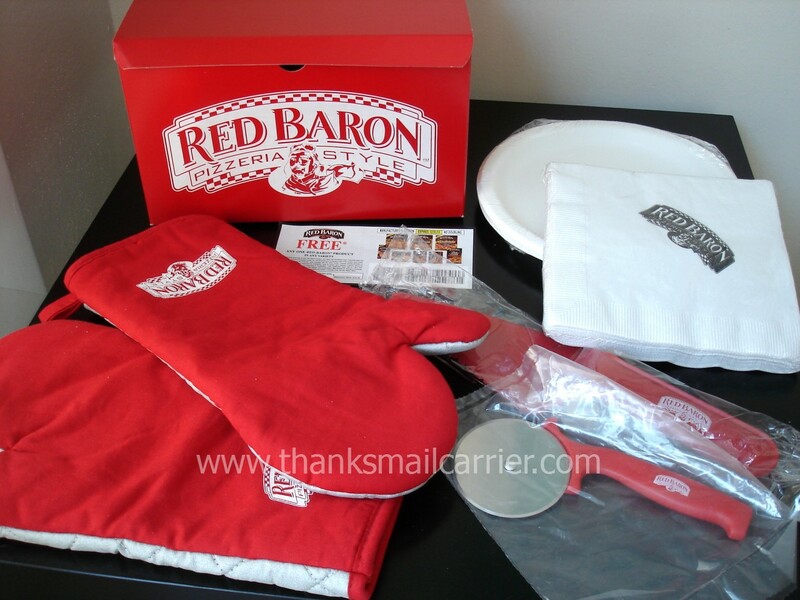 A big thank you to Red Baron for providing a pizza coupon and a Red Baron Pizza Night Prize Pack for me to review as well as Red Baron Pizza Night Prize Packs for five lucky giveaway winners. The opinions shared are my own and honest and if you really need to see more, click here to see how I roll. Jack Black, I think he is hillarious! Id like Jim Carey to deliver mine. I'd love to have Johnny Depp bring a pizza to my house! Thanks! I would love to see Sandra Bullock bring pizza to my door. I think she is so funny and down to earth. It would have to be either George Clooney or Clive Owen. I can't decide. Can I have both? I'd love to have tim Tebow. I want the newsboys to bring pizza to my house! I would love to have Tom Cruise! I would like Tim Tebow to bring my pizza please! I have liked you on facebook #1.
i would love love love the guy that plays Derek Morgan on criminal minds to bring pizza to my house and then never ever leave. I Would love for Lucille Ball to bring mine! She has made me lauch and smile so much.. I really loved I Love Lucy! George Clooney could bring it to us without to much trouble, he's from this area, and I see him in town a lot. my hubby would want Toby Keith to bring it. I would have Lassie or any other animal actor deliver ours, as my kids love dogs.